I have often been shopping at market stalls and been impressed by the varied types of birdfeed that are available, from different seeds to suet balls and blocks, ready filled feeders, mealworms and coconut halves. Like the proverbial kid in a sweetshop, my eyes light up and within no time at all my basket fills with delights. Then my eyes begin to water at the amount the stallholder charges me! This can be an expensive hobby, but I am not so sure it has to be. I have decided to do a little research and have a scour through my pantry for ingredients that I can use to make my own birdfeed. There is such a diverse amount of things available in your store cupboard that you might never think to use for birds. Stale bread is usually top of everyone’s list, sometimes the only thing that ever gets given to the birds, but did you realise that birds like rice and pasta, certain cheeses, cereals and fruit? Boiled eggs, leftover vegetables and even a baked potato are healthy and nutritious for a hungry wild bird. Many things that we might usually scrape into the bin can be feeding our feathered friends. Bread that has gone a little stale, the last cookies in the jar that have gone soft or maybe even the few cake crumbs left in the packet. These are all ideal once crumbled into to small pieces and soaked in water; they then become much easier for a bird to digest. The house sparrow is particularly fond of soggy bread! Avoid mouldy or soft cheeses, hard, mild cheddar is perfect, especially once grated into tiny manageable pieces. The high fat content makes it an ideal winter food as it provides the bird with much needed energy and warmth. The starling enjoys the occasional piece of cheese. This certainly applies in the case of eggs as they are so rich in protein and amino acids. The shell is a fantastic source of calcium. When crushed into tiny little pieces, not only are they a great aid for digestion but if the breeding hen eats them, the high calcium content ensures a stronger shell on any laid egg. Magpies and crows will swoop on a whole, uncooked egg; they will eat the egg but leave the shell. A chopped up boiled egg is good for the smaller birds too. The sparrow likes these and the robin does too, if there are any left by the time he gets to the table! The dregs of the cereal in the boxes and porridge oats are a firm favourite of garden birds. Make sure they have a very low or zero sugar content and no artificial dyes. 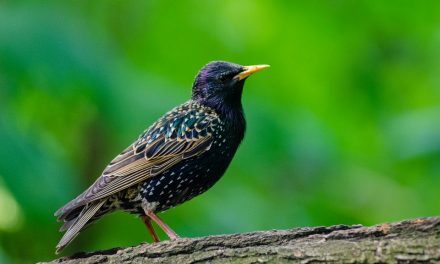 The bird will benefit if you soak them in water before putting them on your bird table. Even better, to stop it turning to a mush, place drinking water next to a small amount of dry cereal. They are a good wholesome treat. NEVER cook your porridge oats, this makes them glutinous and could harden around the birds beak. Blackbirds are huge fans of oats, particularly if there’s a slice of banana nearby to nibble too. Have you ever been to a wedding and been told that you can’t throw confetti but can throw uncooked rice? You have the pigeons, doves and even pheasants to thank for that, they will clean the floor in record time as their beaks are strong enough to crack the rice and their stomachs are capable of digesting it. Cooked rice and finely chopped cooked pasta is a great food, thorough rinsing is required to remove all salt and oils and then it is a wonderful source of carbohydrates and in turn, energy. All wild birds will enjoy this, particularly during a severe winter. Offering fruit is a great alternative to birds that don’t like seed feeders. Hung or chopped on tables provides them with a different option. Apples and oranges are a staple, but varied fruits attract different birds. Try melon, pear, peach, strawberry and pineapple to entice finches. Thrushes, sparrows and warblers will only eat fruit during migrating months, strawberries, blueberries, watermelon and banana slices are their favourites. Wild birds will also attempt most fresh vegetables, carrots, broccoli, courgette, squash, beetroot and tomatoes are worth trying. If you are cruel, you can also try feeding them the food of the devil, brussell sprouts! A jacket potato cooled and cut open is another favourite. A starling will enjoy most vegetables that he finds on your table, beta-carotene found in carrots helps give him optimum eyesight. Dog and cat food is made to specific standards and is safe for all animals to eat. If it has been an unusually dry summer and the ground is too hard to dig, then a small amount of pet meat is an ideal substitute for mealworms. Dried pet food also works, soaked in water and placed on a bird table. It is of high nutritional value so a little goes a long way. Whilst all of these things are perfect options, they must only be used in moderation. Just put a little out to tempt the birds and then if they eat it all, the next times give them a little more. Any food left to spoil and rot will not only become harmful to the bird but could also attract vermin. Keeping your feeding stations clean will keep the birds healthy. As you can see, our fridges and store cupboards offer a veritable feast for so many wild birds? Although I was encouraged to use kitchen scraps for bird food for financial reasons, after a short time studying I realise that there are other great reasons we should all be doing it too. Attracting wild birds can only be a good thing, with populations declining year upon year. Therefore, by feeding the birds we are aiding nature conservation. Utilising our waste is a key factor in helping the environment, by feeding birds food that we would otherwise discard we are becoming more eco-friendly making the world a little better for future generations. One last thing, the kitchen cupboards also provide several choices with which you can feed the ducks. Who needs to throw the much-maligned white bread in when you have canned sweetcorn, porridge oats and defrosted frozen peas available? The ducks will be following you home!